Games Workshop Warhammer. 6 pieces Marauder Bird Warriors. All are metal and all are unpainted. 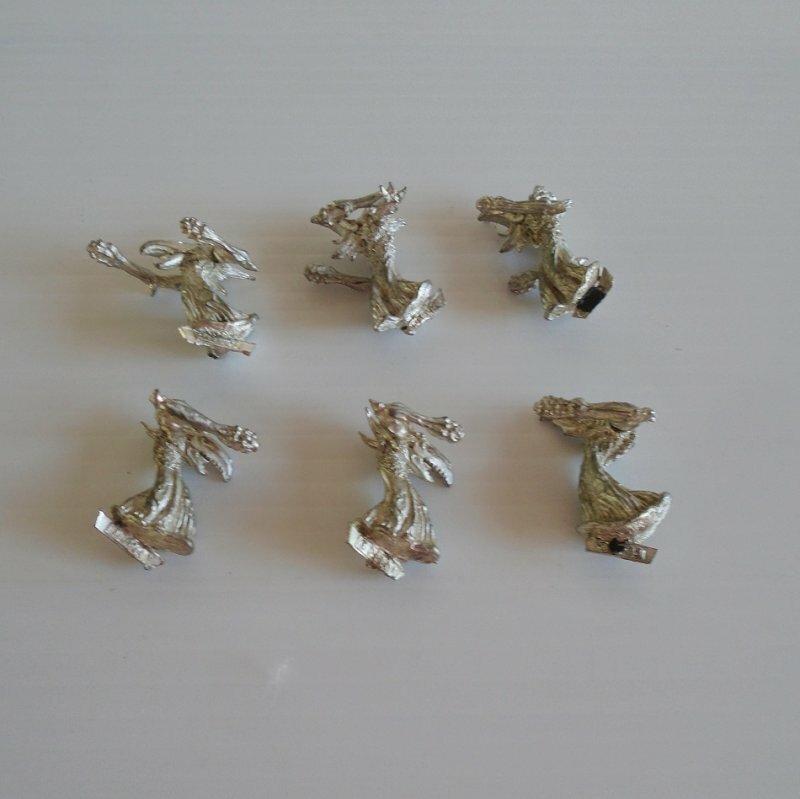 This listing is for 6 Warhammer warrior birds. At least that's what I think they are. They look like birds to me. All 6 are metal and unpainted. All are marked at the bottom with "Marauder". Some are in various stages of completion. There are no bases, but they all have the bar along the bottom that slides into a base, (if you have extra bases).